A Monday that starts a very eventful week. A graduation, time spent with his parents, and a fun DC harbor cruise are in the works. With all of these on the agenda, the reading time may be a little low. A meme hosted by The BookJourney. Sandra Brannan books are so popular recently and all the reviews great, I downloaded this weekend. I read and reviewed Lot's Return to Sodom last week and could not put it down. 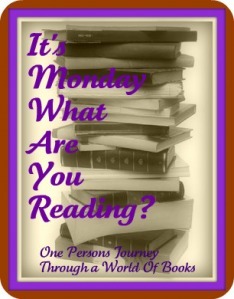 Happy reading and enjoy your week. I really have to get to In The Blely Of Jonah - I adore Sandra! This was a rare week for me in that I finished a lot of review books. Come see what I finished. Have a FABULOUS WEEK!!!!! and CONGRATULATIONS!!! Have a fab week! See what I'm reading here and don't forget to link your Outdoorsy book reviews on Read My Review, hosted on my blog.